VOKI is a tool that lets you create avatars. You can dress up your characters and give them a range of voices. You only have 75 characters so you need to be succinct in what you say. Voki is great for doing a book review or introducing a book, author or genre. Watch the Voki demo to learn how to create your Voki. 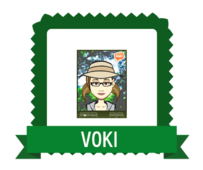 Attach the link to your Voki when you CLAIM YOUR BADGE.